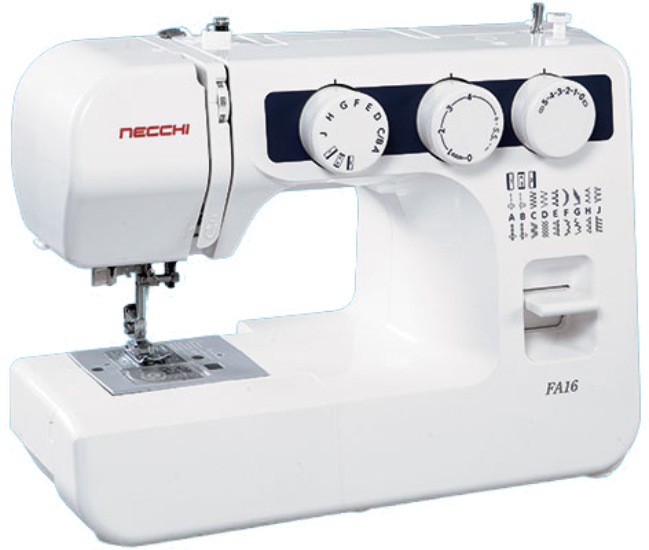 The Necchi FA16 is mechanical sewing at its finest. It’s easy to use and includes every feature you would need for basic sewing or sewing on-the-go. The quilter will appreciate a drop feed and extra high presser foot lift while a garment sewist will be pleased with a buttonhole stitch and free arm. Whether you are sewing light projects at home, or taking the machine to your classes and guild meetings, you’ll find everything you want!